Gucci has long distinguished itself as the label of success for the world’s most stylish individuals. Inspired by the Gucci Premiere Couture collection that debuted at the 2010 Cannes Film Festival, Creative Director Frida Giannini conceived a new fragrance legend in the iconic and sophisticated form of Gucci Première. 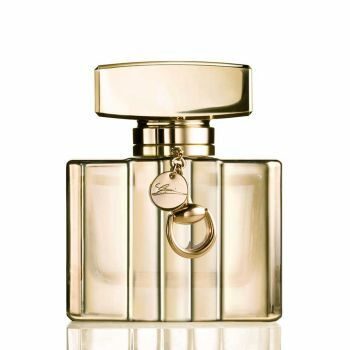 Gucci Première is a powerfully sophisticated aroma, with vigorous notes of wood and musk. Just as a leading lady graces the red carpet with her couture Gucci gown, so every woman deserves her Gucci Première moment.